SeaQuest Interactive Aquarium is set to open this summer, but industry peers are concerned over its ongoing national controversy. With less than three months until a for-profit aquarium opens in Westfield Trumbull Mall, industry peers remain worried about how it will treat its exhibits. “We are concerned when we read that SeaQuests’ operations in other locations not only have fallen short of (Association of Zoos and Aquariums) standards, they have triggered criminal charges and regulatory fines in response to their care of animals and their attempted procuring of species from the marine environment,” reads a statement from the Maritime Aquarium in Norwalk, regarding the incoming 17,000 square-foot SeaQuest Interactive Aquarium. SeaQuest has had its share of negative publicity through the years. The company has operations in Colorado, Nevada, Texas and Utah, with plans to open in other states, including Connecticut. Animal rights groups have accused the company of animal cruelty at several of its six locations. SeaQuest founder Vince Covino has been the target of criticism from animal welfare advocates over the company’s stewardship of aquariums in San Antonio and Portland, Ore. His brother Ammon Covino was convicted on a charge of illegally shipping sharks and rays. The brothers have defended their record. Last summer, the state of Colorado issued a cease-and-desist order against a SeaQuest Interactive Aquarium in Littleton after state officials determined the site failed to pass numerous Pet Animal Care and Facilities Act inspections of its bird exhibit. An investigation was also opened in Colorado after reports of animals biting patrons and staff. National sources reported that at least 30 injuries were reported at the aquarium from June 2018 through January of this year. Animal advocates have also criticized the aquarium’s business in Nevada, citing accusations of neglect and mistreatment of wildlife. SeaQuest has disputed the allegations. Despite ongoing coverage of alleged abuse, mall and town officials have remained tight-lipped about the accusations against the company, not responding to repeated emails and phone calls from Hearst Connecticut Media asking for comment. SeaQuest told Hearst that it has reassured officials that the Trumbull location would be sensitive to the welfare of its exhibits. “SeaQuest will never make a decision that will hurt an animal or put money before the health of an animal,” read a statement from the company to the Town of Trumbull. In that same statement, the company said that its operations met and exceeded AZA requirements. In the past, SeaQuest has opted out of pursuing AZA accreditation, according to national sources. Vernon told Hearst Connecticut Media that none of SeaQuest’s locations have applied for or received the accreditation. “There is certainly a big distinction between an accredited zoo and aquarium and a non-accredited facility,” said Barrett Christie, Director of Animal Husbandry for the Maritime Aquarium in Norwalk, which has expressed concerns over the incoming SeaQuest venue. The Trumbull location touts exhibits featuring sharks and stingrays among more than 300 species. Guests at other SeaQuest facilities are able to purchase snorkeling sessions among rays and fish lasting a half-hour. 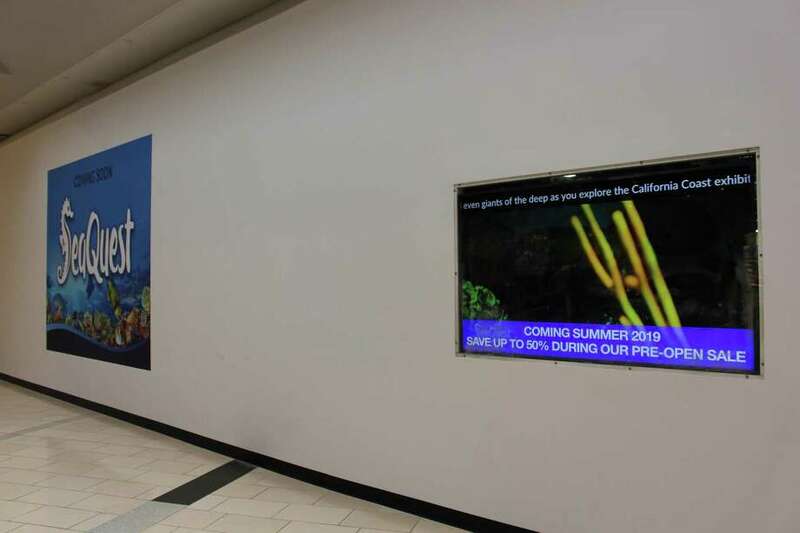 Depending on the animals that SeaQuest features in the Trumbull location, the company would need to have a license to display certain species to the public, experts said. In most states, there aren’t any governing bodies that can enforce animal safety and welfare of fish and reptiles — Connecticut included. In many cases, Bartlett said, organizations seek accreditation from third-party organizations to show they are operating at a high standard. The AZA, among others, offers a credential to facilities that meet extensive regulations, though it’s not mandatory to apply for it. The Norwalk and Mystic aquariums or Connecticut’s Beardsley Zoo in Bridgeport are AZA accredited.